The France Butoku Sai and International Youth Butoku Sai staged in Clermont-Ferrand was completed in early August 2017 with astounding success and most impressive outcomes filled with highly uplifted emotions and joys shared by all participants. It was by far one of the most impressive events held in DNBK ID history outside of Japan. This event left the significant and positive impact to the community of France as well as all attending participants of young and old across the globe. Budo demonstrations executed by France Shibu were most outstanding and all other ID divisions showed their maximum efforts and dedications in all fields. This was a result of total efforts and uncompromising dedication of DNBK ID teams. 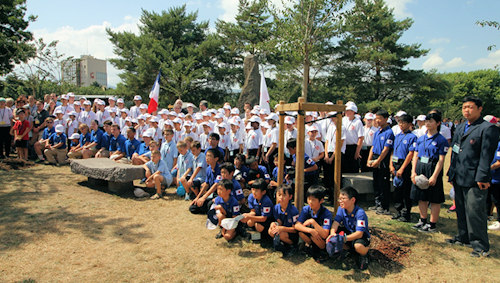 The entire events in France Butoku Sai had nothing but superior inspiration, poise, respect, humility, beauty, respect and honor in all fields as Butoku virtues were displayed in their attitude and actions of excellence. The revered dedication of Sakura Park and peace monument in conjunction with historic Franco-Japan goodwill relations was majestically conducted in the central park of the city where the citizens of the community will enjoy the graceful beauty of Japan during the spring time. Deep appreciations to Mayor Bianchi and his entire city staff for their wonderful cooperation and support to realize our noble dream and vision. This is a permanent legacy of DNBK which is to be remembered beyond many future generations. Warmest hospitalities and kindness given by Hanshi Cognard and France Shibu teams will be etched in our hearts as our mutual friendship was fostered and strengthened by all participants attended. At farewell reception, piano concert beautifully performed by Lara was also very inspiring and touched the emotions of heartfelt joy in the special occasion. Witnessing the pure joy of accomplishments of all young students was truly priceless as we know their future will be so bright in their infinite possibilities ahead. DNBK held the finest Fifth World Butoku Sai and International Rensei Taikai throughout the week of April 24-30 with over seven hundred martial artists from twenty one nations worldwide. Comparatively speaking, this Taikai was by far the most powerful significance of DNBK history. Over 40 noteworthy messages from the global regions, including Prime Minister Abe of Japan and President Obama of the USA were received in honor of all participants. Their messages were most momentous to this WBS Taikai. Budo dedication by selected leaders in Seiryuden, Taisho Butokuden held April 25 was conducted with high respect and solemn sense of dignity in presence of national treasure of Blue Cetaka. Budo seminars offered April 26-27 by Honbu teachers afforded the wide range of training opportunities in the classical disciplines while participants were able to enhance the learning of new perspectives taught by them. 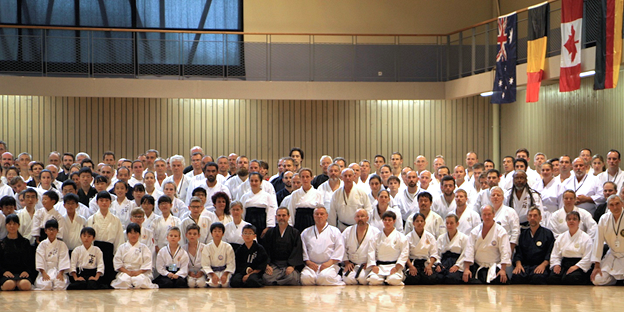 World Butoku Sai demonstrations were filled with intense concentration of mind, body and spirit throughout. Honbu and international members displayed their cultivated skills prowess in accordance with traditions, respect and great humility which gave the entire participants with astounding positive impact. 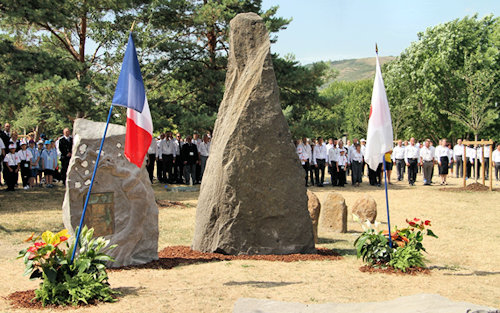 Commemorative International Rensei Taikai was also very emblematic starting with the revered flag ceremony of France in honor of the spirit of deceased member. Their demonstrations of Budo were dedicated to the great teachers of DNBK who had risen to another world. This sense of unparalleled unity and harmony also became so paramount in the world of spiritual Budo. During the Opening Ceremony, for the first time in the 121 year history of DNBK, Her Imperial Highness, Princess Akiko of Mikasa attended from the Japanese Ministry of Imperial Household by the approval of national office and delivered her royal words to all participants. Her inspiring message about heart and soul of Japan gave every participant the profound and deeper understanding and relevance of Japanese traditions. Her unprecedented attendance in the WBS also gave international members highest honor to be observed by Her Imperial Highness. Her historic appearance in the formal capacity of Japanese government being seated in the Gyokuza of Butokuden enlivened the historical heritage and glory of DNBK once again which no one could ever attempted to do until now. In the Fifth WBS, another milestone was reached with many unforgettable memories of outstanding accomplishments as well as achievements. To realize the visions and missions of DNBK in each historical time, it required the painstaking effort and dedication in preparations to delivery. This history making epoch of WBS was an outcome of more than three years of preparation and hard work, countless hours of laborious efforts as well as great support and enthusiastic commitment of all participants across the globe. Great appreciations and admirations go to those unsung heroes who tirelessly served for the cause of common purpose. Every individual by virtue of his earnest participation was recognized in his honor during WBS and CIRT. All registered Dojo were also recognized based on their enthusiastic participation and commitment to team excellence. All nations representing the country in WBS was honored by the flag of each nation. Notably, WBS is far more than just demonstrations of Budo events and thus, it carries the significant torch of perpetual quest of humanity in building unity and harmony of the world through Budo. Butoku virtues of ancient Samurai ethics are the fundamental essence of such beauty and grace in our being as Budo trainees. WBS2016 ended with tremendous success and unforgettable moments etched in our heart and soul. Shared experiences and bonding amongst all level of participants forged the pride and honor of being DNBK member and it will remain in the heart of many people that the true friendship in the DNBK families of the world will be everlasting. We hope there will be greater excellence and brilliance continually in many years ahead for all DNBK International Members of the World. 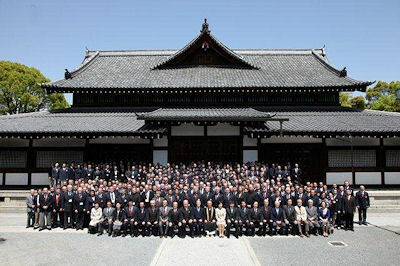 April 25-30, 2012 the Fourth World Butoku Sai and Fiftieth Japan Butoku Sai were held in Kyoto Butokuden with almost 300 participants from 22 nations in DNBK International Division and 350 participants from Japan. This was a major historic milestone event which produced most impressive and inspiring impact to all those who attended. DNBK upheld the long-standing historic traditions by stressing the significance of Butoku, martial virtues. All international members proudly represented their dojo and displayed their outstanding skills demonstrations in the Budo disciplines they have been training. It was an epoch aspiring gathering of noble Budo trainees with mutual respect and great humility that etched in their memories on the finest sharing of Budo spirit. This emblematic plaque was presented to Tesshin Hamada by Sosai Higashifushimi at the Opening ceremony of 4th WBS in April 28, 2012, and it was pledged to bear all participants names in the back of this plaque by Tesshin Hamada where he acknowledged the designation of this award being bestowed to all participants. The following photos are some of the samples out of 2000 images in demonstration skills which took place in April 29th. Official photographer of DNBK ID was Motoya Nakamura from Oregon USA. Without formal permission from DNBK ID, any part of the photos cannot be allowed to be duplicated due to copyright restriction. Your full cooperation is greatly appreciated.